Beds that actually float on air thanks to complex magnetic support systems are real — and incredibly expensive — but there’s a more accessible way to achieve a similar result. 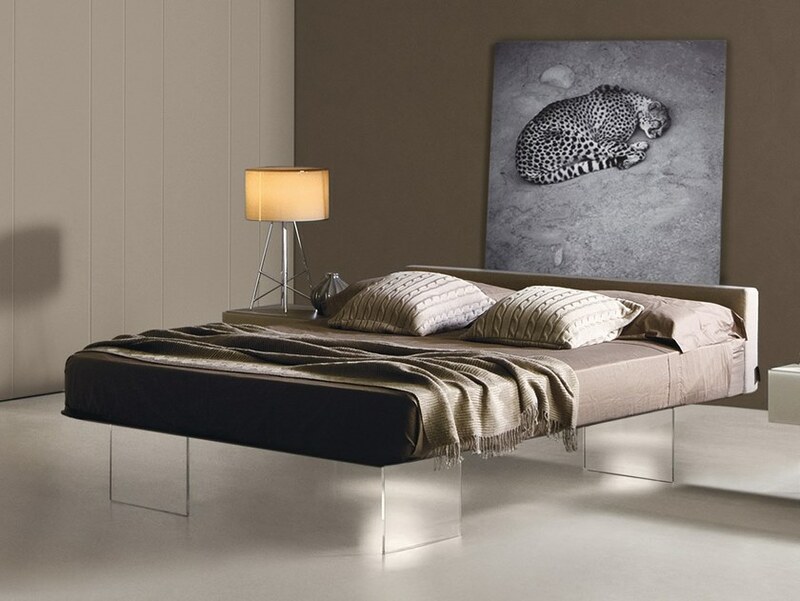 A pair of floating modern platform bed designs by Italian furniture manufacturer Lago feature mattresses that seem to hover, but are actually (just barely) supported by transparent elements or hidden posts. 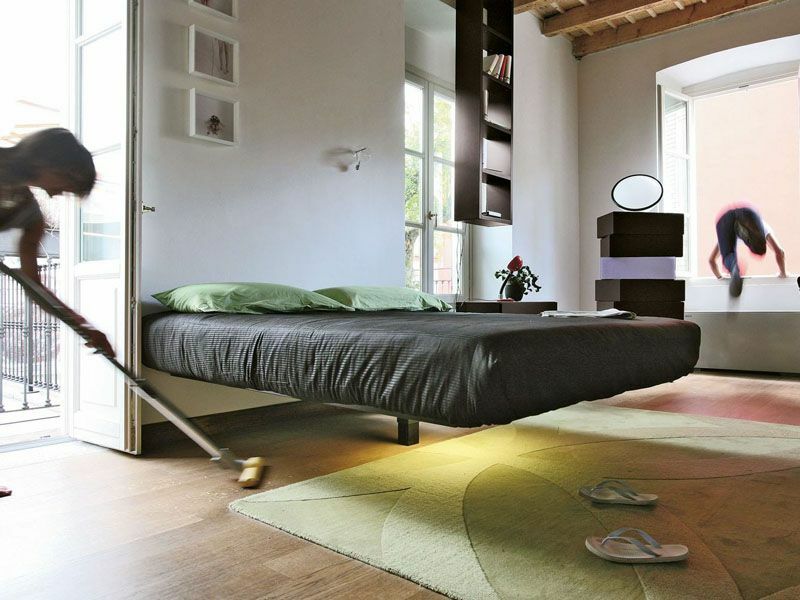 The Air platform bed, pictured above, is a patented design that looks lighter than air. 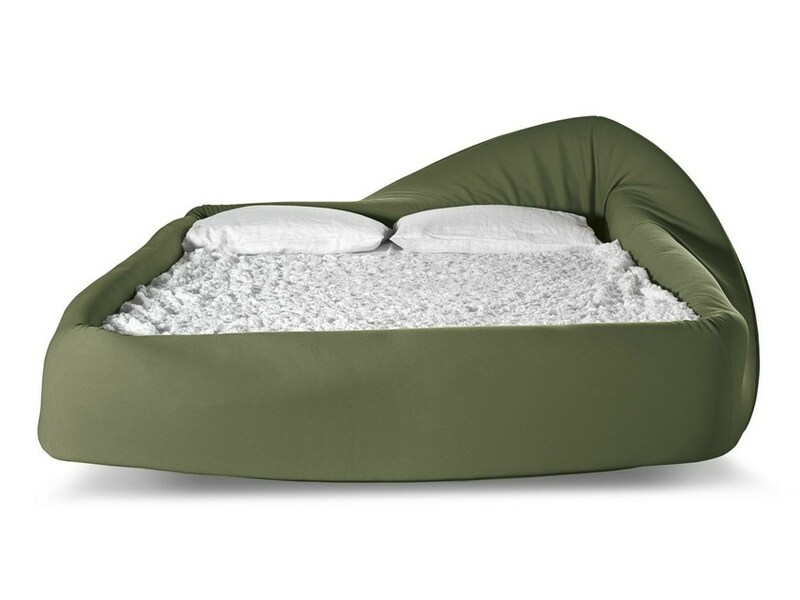 Another bed design from Lago that appears to float on air is the Fluttua model, which is supported by a single post in the center. Like a cozy nest, Lago’s Colletto Bed is designed to let you hide yourself instead of the bed, selectively flipping up or down the soft sides for extra leg room or a more comfortable, cozy and enclosed feeling. 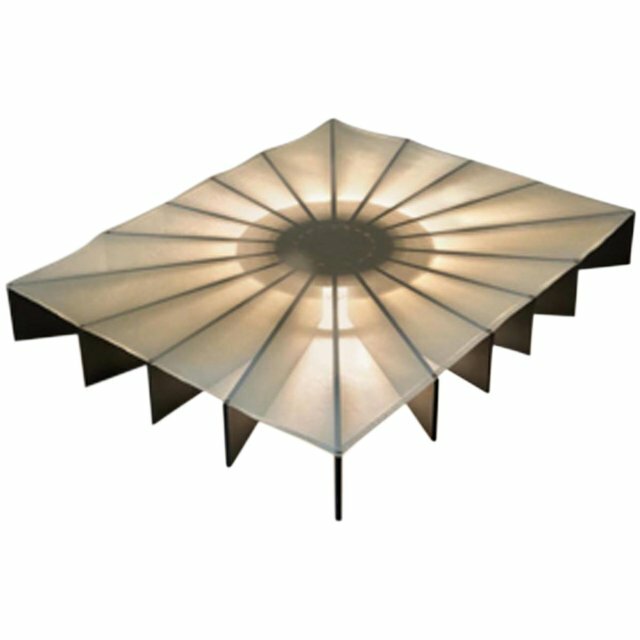 The Beam Bed is another major attention-grabber with its circular arrangement of supports and central built-in light, producing a soft glow once you place your mattress on top. 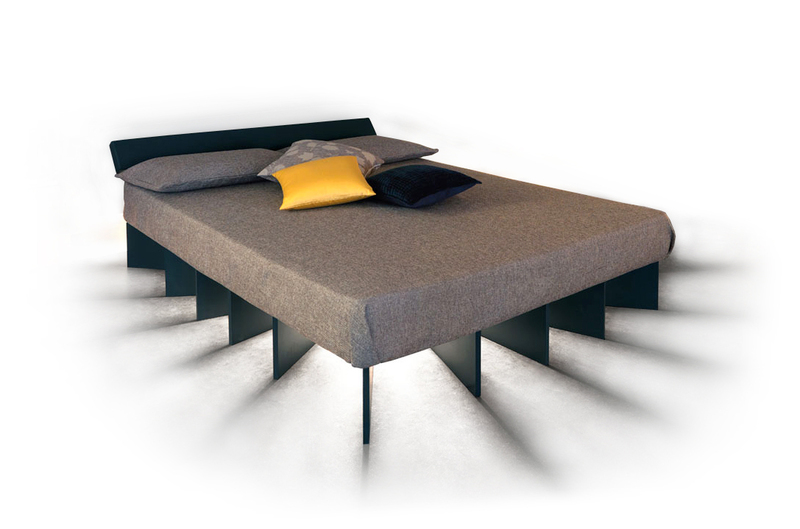 Want to try your hand at building your own DIY modern platform bed? 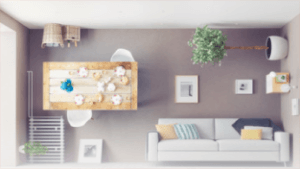 It’s easier than it sounds if you have at least a little bit of carpentry experience. This tutorial video will show you the whole process. 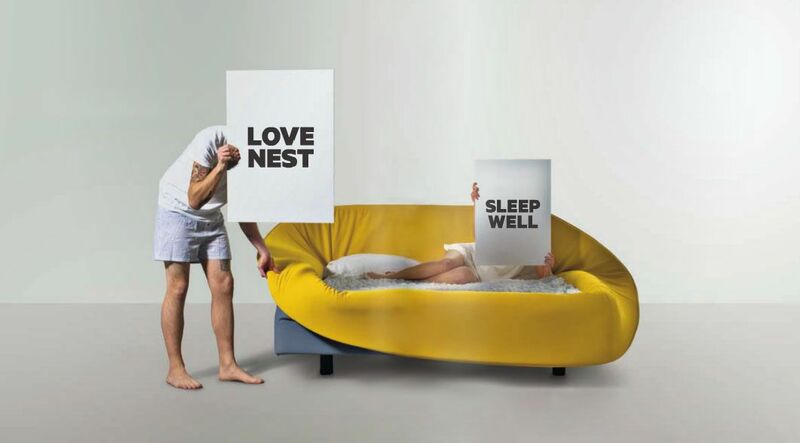 And for some extra fun, check out hanging and swinging bed designs that will rock you to sleep.